A vast majority of students think that it’s very difficult to create academic essays, especially during the freshman year. 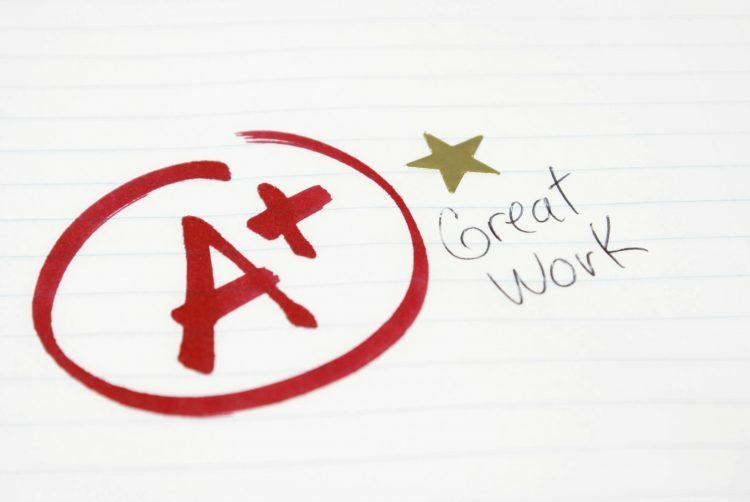 Many college paper writing service reviews are trying to help students get used to this duty but they have to remember that essay writing helps you to develop the creative thinking, broadens your horizons and imroves your research skills. There are some basic rules on how to write a college paper. They are simple but productive and once you figure them out, you’ll realize that college essays are not such a big deal after all. We will use this article to explain these rules. Preparing for work, you will run into all sorts of tips on how to write a winning college paper but it all comes down to the 5 most practical tricks. Let’s check them out! Reading some 20-25 pages doesn’t seem like much but writing the college paper of such volume is a completely different story. This is the work you do once in a semester and it has a huge impact on your overall success. Therefore, you need to choose the topic wisely. Your background knowledge and interest in a given subject make the most important elements of your decision. You will probably have several options and make sure to pick the one that suits your education the most. There is also a chance that you can suggest the title yourself. In this case, consider something that you really love but make it academically relevant. This will give you the best chance to enjoy the writing and earn the highest mark. It’s always possible to get out of the norms and create a totally unique essay. But college professors appreciate if you follow the standard procedure: introduction, body, and conclusion. This is one of the oldest scientific traditions and with the good reason – it sets a logical path for the research. You will present the basic information about your essay in the introduction. It’s about the details of your work such as the topic, hypothesis, and methodology. In the body part, you will develop the theme and conduct a theoretical and empirical research to confirm your statements. It’s crucial – and the longest – element of the college essay. In the end, you will make a conclusion and repeat the most important statements from your work. With this kind of approach, you’ll make a compact research paper. Whatever topic you might choose, it’s clear that scholars already wrote a substantial number of works about this subject. Your mission in that regard is to read and analyze the most relevant resources. College professors can suggest you a few books, while you will conduct additional research and get some supporting literature. These books will be your guide through the process. However, if you want to explore things more comprehensively, you should try to find the primary sources. For instance, if you want to write about Plato’s theory of the state, the first thing you need to do is read his monumental work “The Republic”. Secondary sources will definitely help you understand Plato’s ideas more precisely but you cannot get the full picture without using his own book as the primary source for the analysis. We already noticed that scientists have made hundreds of books dealing with almost all of the relevant topics. So if you are still having doubts about how to write the college paper, here’s a valuable suggestion: find a creative angle. If you don’t respect this suggestion, you won’t get the good mark for your essay. Always keep in mind that you need to present an alternative statement in your paper and start with a hook to attract your reader’s attention. Take a look at the scholarship essays to get some ideas. It doesn’t have to be revolutionary and contrary to all of the previous works. All you need to do is to find a viewpoint that’s at least a little bit different from the most common opinions. And if you really enjoy this field of research, you will definitely find it easily. This tip correlates with the previous suggestion. If you want to create an impression, make a solid conclusion and confirm your hypothesis. Support it with strong arguments and don’t leave room for doubts. If your statements are correct and presented gradually and clearly, you will be able to get the highest mark. In the chaos of everyday duties, exams and courses, making the successful essay can be a frightening experience for most of the students. That’s why they search for the best models how to write a great college paper. We recognized this issue and decided to give you the list of the 5 best tricks to get the highest mark. It’s a simple guide that promises good results so don’t hesitate to learn these tricks – they will make you an expert in college paper writing.